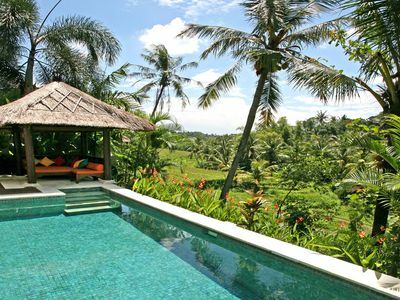 Exploring the untouched parts of Bali and stay in our villas, in the safe area. Now is the moment! Get cheapest prices, no crowded &amp; less vehicle pollutions! 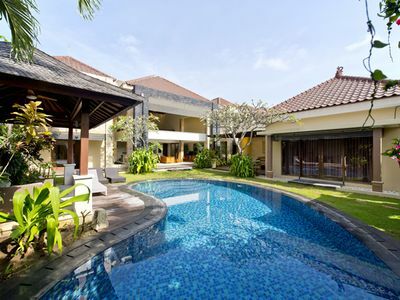 7-10 MINS DRIVE to BEACHES (central of Seminyak). 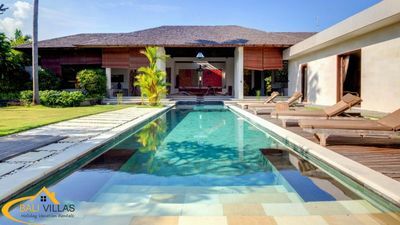 Be Local in Private Villa &amp; Private Pool! 2-10 mins walk to restaurants (western-local foods). Perfect to spend relaxing days at the poolside with the BBQ grill smoking. 3 bedrooms, each with his own private bathrooms (ensuite). 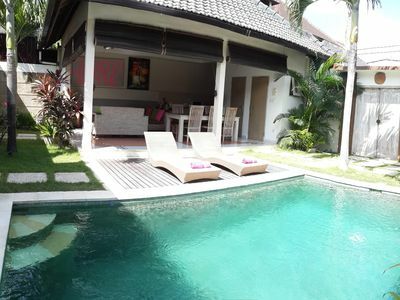 - 1 master bedroom with King Size bed (180cmx200cm), pool &amp; garden view, AC, TV 32 inch, private bathroom with cozy bathtub (hot &amp; cold water). - 2 guests bedrooms, each with Queen Size bed (160cmx200cm), pool &amp; garden view, AC, TV 32', private shower bathrooms (hot &amp; cold water). - Open concept of living, dining and kitchen. - Kitchen has complete utensils: microwave oven, rice cooker, kettle, toaster, coffee maker, etc. - 1 powder room (toilet guest). - Big american fridge with automatic ice cubes maker and cold water. 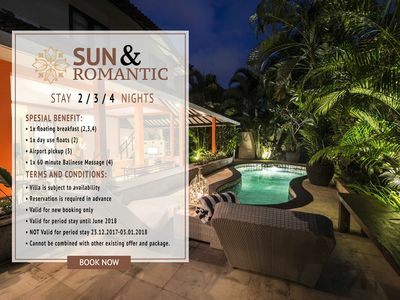 - Price includes: electricity, pool &amp; bath towels (only) change every 4 days, cleaning 5-6 times a week, gardening &amp; pool maintenance 3 times a week, drinking water gallon, gas cooking &amp; BBQ, bed sheets &amp; Free Fiber WIFI. - Pick-up or drop-off airport/everywhere around Bali (surcharge). - Motorbike/scooter rental IDR 50,000 (+/-$4) /day/scooter. - Tours/excursions, drop-off/pick-up services by our driver with a family car enough up to 6-7 persons inside (surcharge). **Please read how to "Getting Around" below. The guests can use everything we provide in the house. Please kindly take good care of them. We will be available by messages, emails or WA. The villa is a house not hotel/resort. There is Circle K, a minimart open for 24 hours, only 5 mins walk from the villa. So, never worries to find shampoo, urgent medicines, instant noodles, bread, eggs, drinks or snacks even in the middle of the night. 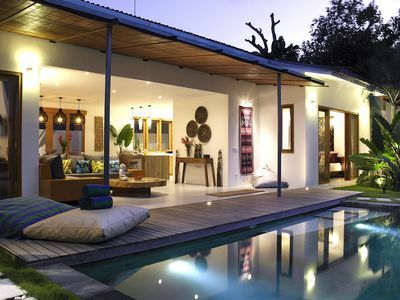 - The villa area is in LIO Square Kerobokan, side of Seminyak. 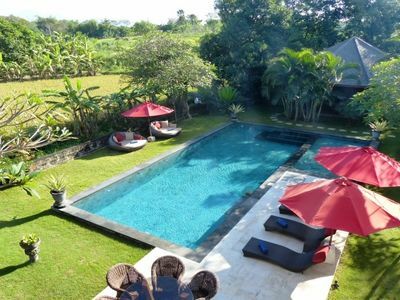 - Located nicely secluded calm, quiet and quite central to all the basic necessities as well as the happening places in and around the area. 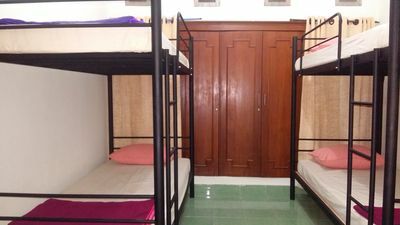 - About 2 mins scooter or +/-15 mins walking distance to LIO Square. The food street place. 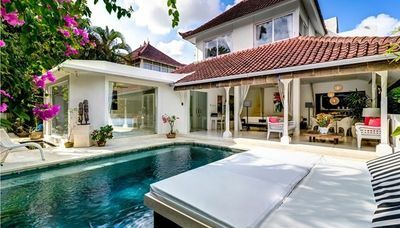 - If you love new cultures and curious to be near the local urban Balinese life and expat neighbors but not too far from the tourist hotspots, our villa would be matched for you. Due to the traffic jam in mostly of tourist hotspots. So, we suggest you to rent scooter. It's the best way to go around and explore Bali (easy, cheap &amp; faster). Recommended. If you prefer to rent a car, we suggest you to rent a city car up to 6 passengers max. Another option is to use online taxi (valid only in certain areas). We suggest you to ask our driver to do drop-off/pick-up services and tours/excursions (surcharge). Recommended. 20% OFF! 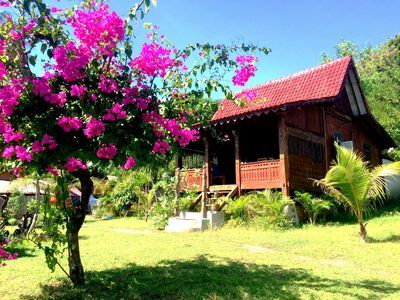 Beachfront Bungalow for 4!